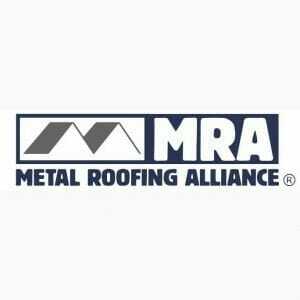 Proper metal roofing installation begins with the use of the right equipment, starting with the screws used to anchor your panels or shingles to the structure. Absolute Steel recommends using metal self-tapping screws with thin washers that have been properly compressed to ensure a secure seal. 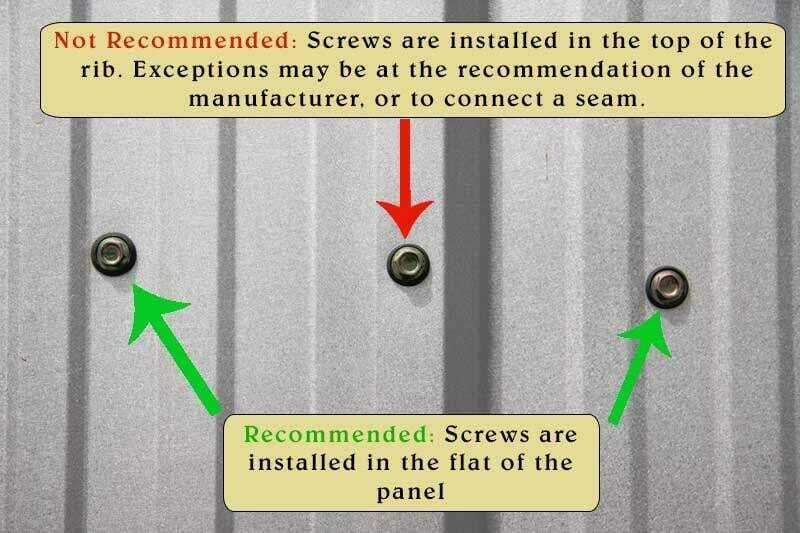 Why screws? 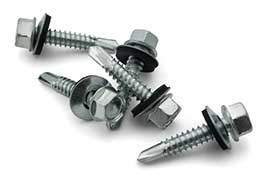 Screws will not bend like nails when exposed to heat nor will they work themselves loose like a nail would during normal expansion and contraction that occurs with your roof. 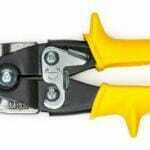 Next, you must make sure you are placing the screws in the appropriate place for a tight fit. 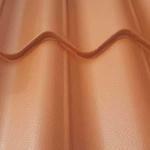 Absolute Steel advises screws be installed down inside the flat of the panel and not in the top of the rib. See the illustration below. This is important as placing a screw in the top of the rib will prohibit a good seal. If placed in the top of the rib, the screw may also potentially tilt, thus stretching the screw hole. When this hole stretches and gets bigger than the washer, the seal is then broken. 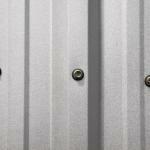 Consequently, Absolute Steel restricts the use of aluminum exposed fastened panels to a length of 16’. And, 40’ in length for limit steel exposed fastened panels. Finally, placing the screw in the top of the rib provides a higher risk of the screw pulling out when there are high winds, and this strategic placement will result in a stiff and not loose diaphragm. 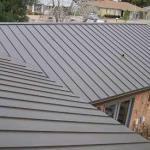 More important however, this location of the metal roof offers solid wood just below the panel, making it easier to securely fasten the screws in place.